This started to change when the dark ages ended with the fall of Constantinople in 1453. This is believed by many historians to have ended the dark ages and sparked a Renaissance where lost Greek and Roman wisdom was recaptured. It was in 1514 that Galen's reign as supreme master and god of medical superstitions took a major hit. This was the year Nicolaus Copernicus was questioning the belief that the Earth was the center of the Universe and started writing his theories about the earth rotating the sun. Out of fear of being rejected and maybe even killed, his works weren't published until eight years after his death in 1543. This one event got many people to thinking, or, better yet, inspired thinkers to become courageous, thus giving birth to the age of reason, or the Renaissance. This was a time people started questioning the views that were etched in stone by the Ancient Greeks and followed through the Middle Ages. This was a time when fresh ideas that were based on science as opposed to superstitions and false logic. New ideas were formed in physics, astronomy, biology, chemistry and medicine. Copernicus was the first to use scientific research as opposed to superstitions in science, and it was Galileo Galileo who risked all as he published his book on scientific reason during his lifetime. Galileo became famous, and because of this he is now called the father of modern science. He set the way for others to question old scientific and medical superstitions that were regarded as facts, and one such physician was Jean Baptiste Van Helmont, who, in 1579, was born into the dawn of the Scientific Revolution in Brussels. 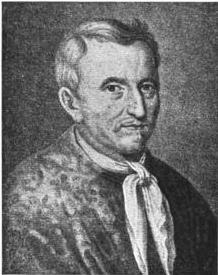 Unlike Paracelsus, van Helmont didn't believe in ancient Greek theories. In fact, he became the first to dismiss the idea that asthma (and diseases in general) was a disease caused by an imbalance of the humors and instead was a disease caused by a narrowing of the pipes in the lungs. It was this view that made him a very controversial person during his lifetime. In order to prove the basic element of the earth was water he performed an experiment where he grew a tree in a a tub for five years and gave it nothing but pure water. We weighed the tree and soil before the experiment, and in the end the soil weighed the same and the tree had gained 160 pounds. He attributed the weight gain of the tree as being due to water. While his conclusion may not have been completely accurate, some historians refer to him as the father of biochemistry because of this experiment. The term "gas" he derived from the Greek word for chaos. Due to his experiments with gases he is considered by many historians as the father of pneumatic (air) science. One of his most famous experiments was when he burned charcoal and produced the substance carbon dioxide. He explained this was the same product produced from fermenting musk, which rendered the air inside caves as unbreathable. Yet at that time he did not use the word carbon dioxide, he used instead the word gas sylvestre. He also described other gases, such as carbon monoxide, chlorine gas (prescribed by later physicians as an asthma remedy), digestive gases, sulfer dioxide, and a "vital" gas in the blood that we now refer to as oxygen. Perhaps one of the reasons van Helmont studied air was that he was an asthmatic. He generally believed asthma was a physical disease of the lungs caused by factors outside the lungs, such as substances one might come into contact with, substances in the air, and substances affecting the mind. It is believed by many historians that he was the first to link asthma with hysteria, and therefore should be given credit as the father of the nervous theory of asthma. But he usually doesn't get this credit, perhaps because of the controversial nature of his work, and the fact hat he fad no followers. Most historians give Thomas Willis, his contemporary, credit for creating the nervous theory of asthma. This is usually the case even though Willis mentioned nervous asthma several years after van Helmont did. Yet this is just the way history is, sometimes giving credit for discoveries to the most popular person as opposed to the correct person. Van Helmont had an illustrious mind, one who decided to do what he thought was right as opposed to what was popular. Surely this caused some controversy during his lifetime, but it was to the benefit of future generations. You never know what euphoria is like until you can't breathe, and then you can breathe. Copyright Rick Frea 2007-2011. Theme images by Airyelf. Powered by Blogger.